When you have made the decision to sell your home, the next decision that you have to make is when to sell your home. There are various pros and cons to selling at any time of the year. With that being said, an often-overlooked time of year to sell is during the winter months. If you are considering putting your Sioux Falls home on the market, selling during winter may be a wise choice. Because spring is touted as the most popular season to sell a home, competition is very high; this means that it is more difficult to attract the attention of potential buyers. However, during the winter months, there is less inventory for buyers to choose from; this translates to less competition and more eyes on your home. Another benefit to selling your home in the winter is that you get to show buyers how your home stands up to Sioux Falls winter weather. Things like having a short driveway, for example, equate to not having to shovel as much snow. Further, being able to showcase how well the roof holds up to snow and how well the furnace works are additional selling points. September is one of the highest birth months. After the craze of bringing a new baby home, Sioux Falls parents begin to think more about purchasing a bigger home to accommodate their growing family and want to be settled before springtime rolls around. If you have a larger home, this is another check in the winter-home-selling “pro” column. Because more homes go on the market in Sioux Falls in the spring, home sellers have to deal with a lot of “window shoppers;” buyers that are not quite ready to buy and are simply feeling out the market. 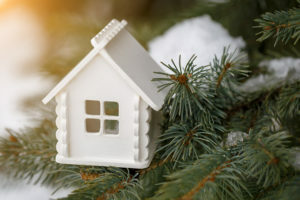 During the winter months, due to the low inventory, if buyers are seeking out potential homes for purchase, they are likely more serious about purchasing a home than some buyers are in the spring. Year-end bonuses or retirement with a large payout help buyers with extra money for a home. Being able to put a large chunk at the end of the year down on a down payment is a way for buyers to reduce their stress levels and offers up an ability to upgrade their current living situation. For those who work in a corporate environment, relocation usually happens in January or February; this mean that, not only are these particular buyers looking to purchase a new home, they are looking to purchase a new home quickly as they need to relocate to Sioux Falls as quickly as possible. They do not have the luxury of taking their time to search for a home.